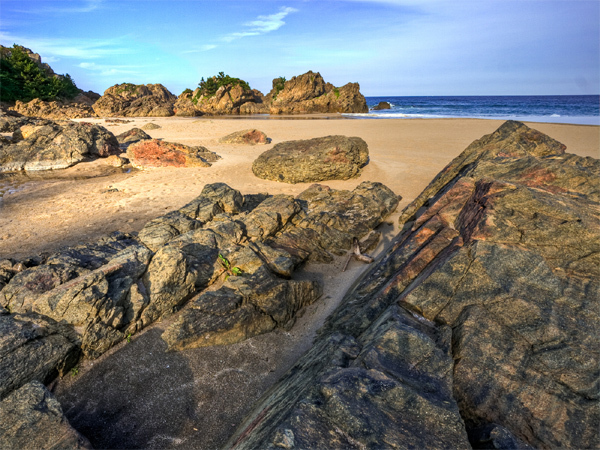 Here is a photo of a beautiful beach in Hachinohe, Japan. As you gaze at this photo—click for the larger version—imagine you are sitting on these rocks, enjoying a cup of green tea as you take in the sounds and smells of the ocean. Having an actual cup of green tea in your hands will help enhance this mellow-inducing mini-meditation.